On Friday evening, September 7th I came across the trailer for Cloud Atlas which took me down a rabbit hole as I realized it was directed by the Wachowski brothers (now actually a brother and sister) and Tom Tykwer. 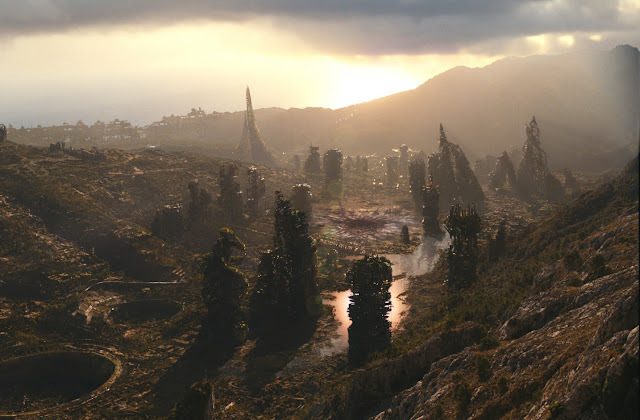 In fact, I was so captivated by the trailer I even wrote a post about it here. We went to see the film the weekend it came out, I needed a break from perfume bonanza and was really curious about it. I figured it would be stunning visually but wasn't too sure about the story telling component. The film is two hours and fifty two minutes long, telling an extremely complicated tale that takes us into the past and far into the future. I am not even going to begin to explain the film since it is so incredibly complex and personally suggest seeing it without too much explanation. I realized about twenty minutes into the film that when I let go of trying to keep everything organized in my head, it all began to make sense. This is not a film for cerebral folk unless it is someone who is very well versed and open to spiritual concepts. The story is complex and deep. I have the book on my bed side table and can't wait to dive into it as soon as I am done with A Game of Thrones, A Song of Ice and Fire. I'd love to speak with someone who has read the David Mitchell book and seen the movie adaptation. Seeing the difference between the book and TV versions of Game of Thrones for example has been very interesting and as usual I prefer the book. Overall I really enjoyed Cloud Atlas despite some challenges with actors make-up and some confusion with the story line. The scope of the project was huge and perhaps way too large for a three hour film. I pondered the tale and concepts for over a week after seeing it. When I attempt to pin point exactly why I liked it I can verbalize it which makes me realize it worked on me on a more intuitive creative level. Meaning my right brain totally dug it. 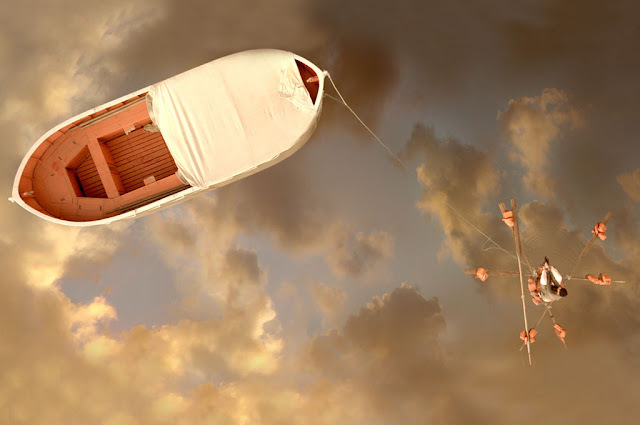 We also recently saw The Life of Pi, another gorgeous film based on a book. Unlike Cloud Atlas, Life of Pi left me feeling empty. The feast of visuals was absolutely glorious, but I wasn't keen how the story was wrapped up in the end and I had a hard time having any empathy for the visiting writer character. From what I have read, the ending of the book is the same as the film, thus I am speculating that the book probably communicated the ending in a more compelling manner. On my list to go see is the SkyFall, The Hobbit (of course) and Hyde Park....and I am very intrigued by Lincoln.Meanwhile I still haven't seen The Hunger Games and Prometheus which I'd like to see. Into the future, gosh Oblivion with Tom Cruise looks amazing, my inner geek can't wait! 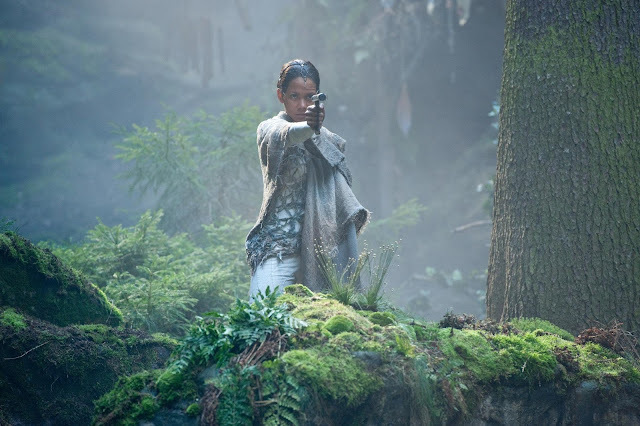 Ok, I just finished reading Cloud Atlas and was wondering if the movie was worth seeing. I can't imagine how it could be done in a way to make it at all possible to follow! I almost always prefer the book to the movie, but am willing to give this one a try. Gee Cymbaline, we must be separated at birth when it comes to books and films. I'm enjoying the 1st book of GoT but am concerned about the violence, mostly because I know what happens and was so depressed by the TV series.